We've seen it a million times over -- when an artist hits it big, they change their sound so they can either be taken seriously or garner mass appeal. Chris Stalcup isn't interested in that. (Though he isn't necessarily "big" yet, he's signed to DirtLeg records.) 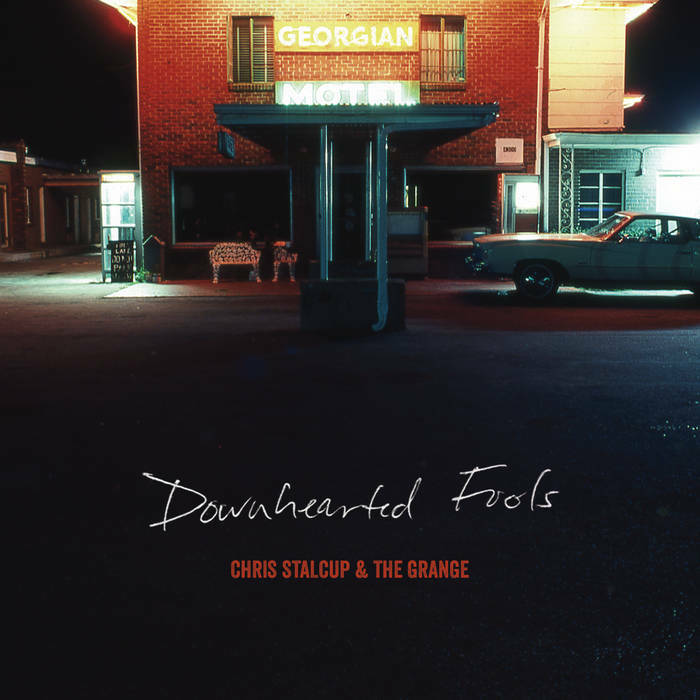 Downhearted Fools is an honest-to-gosh meat and potatoes country rock album, and it's everything you want from a bar band. Stalcup is a master at the hook. The title track, "Downhearted Fools" has been running through my head for days. What makes this record jump out, though, is the drive behind the music. Downhearted Fools finds Stalcup taking the plunge and pursuing music full-time, the disruption of a long-term relationship, and his forays into recent single-dom. The second half of the album is rife with ambiguity about the end of this relationship and blistering breakup songs. But Stalcup shows his hand with the final track, "However You Want Me," in which he reconciles his anger with an honest examination of himself, his regret, and his well-wishes for his ex. Stalcup could teach a master class on writing catchy, sincere songs. But for the non-musicians out there, Downhearted Fools is instructive for anyone who's slogging through the many stages of post-relationship grief.